CalCAN builds bridges between policymakers, farmers, ranchers, agriculture professionals, non-profit educators and advocates. We connect partners in the field with legislators in the Capitol to educate them about the powerful climate solutions offered by organic and sustainable agriculture. Last year we organized meetings, farm tours and public events involving 12 Senators and Assemblymembers and more than 150 of their constituents in counties including Fresno, Sonoma, Santa Barbara, San Luis Obispo, Alameda, San Francisco and Yolo. 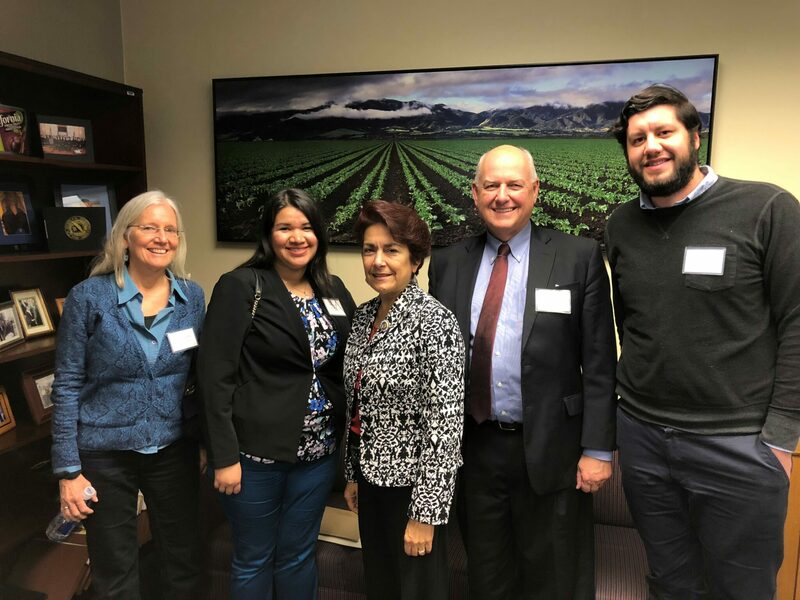 The engagement of these partners played a big role in CalCAN’s success last year restoring funding for the Healthy Soils and SWEEP programs and the successful passage of a bill (AB 2377) that funds technical assistance for farmers and ranchers applying for Climate Smart Agriculture grants. We want to say thank you to all those who participated in meetings, events, signed on to letters and called representatives. Your actions do make an impact! In 2019, we plan to grow our network of engaged partners who we can call upon to take action. Please take one minute to update your CalCAN subscription with your state legislative districts. And when we send out periodic action alerts, please pick up the phone and call your elected representatives because it makes a difference and your voice will be heard. Also, if you are a farmer or rancher, or represent an organization or business, we invite you to become an Alliance Member. As an Alliance Member, you will have access to member-only policy briefings, you will be invited to sign on to comment letters, make calls and meet with your representatives at strategic times. Take action with CalCAN this year by joining the Alliance Membership. We know from experience that engagement from our partners can lead to policy victories. We have also heard from partners that participating in the political process can be empowering, inspiring and strengthen connections. Constituent calls make a difference! Last year, a handful of partners in San Mateo and Santa Barbara placed calls to their Assemblymembers asking them to sign on to a letter calling for $400 million in cap-and-trade funding go towards natural and working lands programs. These 10 or 12 calls led to those legislators lending their support for the budget ask. With the help of our partners we are able to advance state policy and scale up agricultural solutions to climate change. We truly value the work and dedication shown by our partners. We hope that you will consider standing up and taking action with us this coming year!